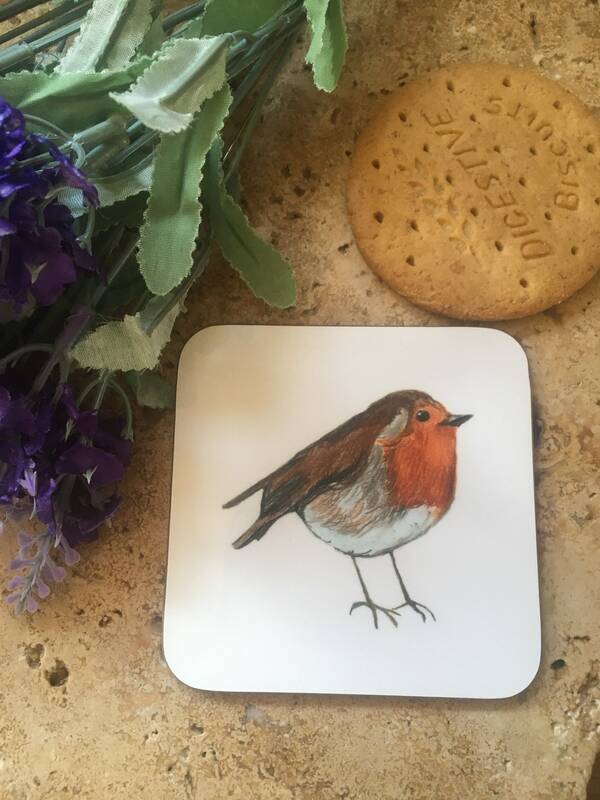 9x9cm printed coaster with Katezarts very own robin image. Glossy finish, with hard wood backing. The image quality has abit of a vintage look to it, but is still beautiful.